All of the photos on this page were taken on April 12th, 2004 (a misty-rainy day). 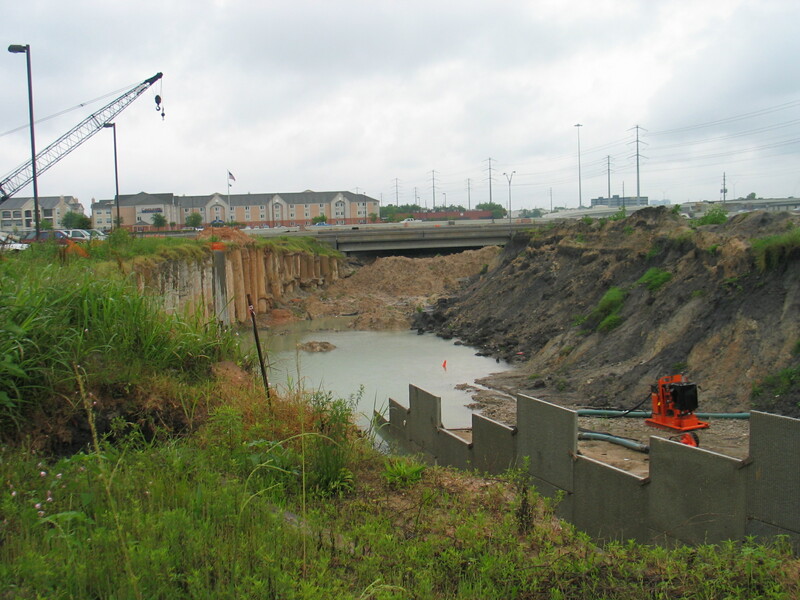 The photos are in and of the vacinity of the interchange with Beltway 8. 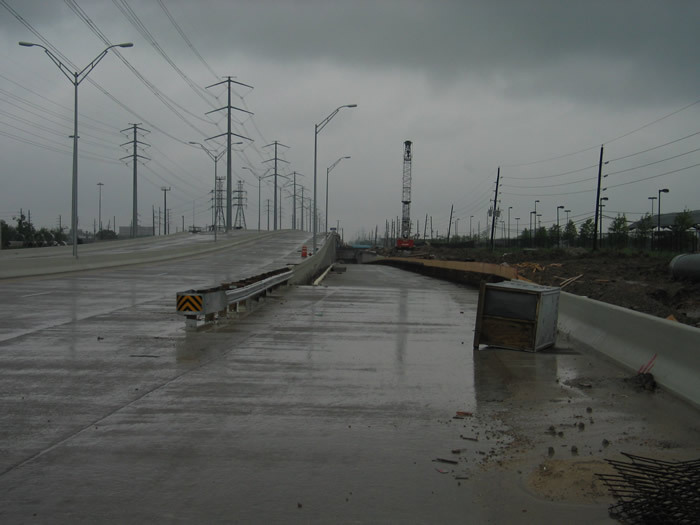 Background: By Texas law the state cannot own and operate a tollroad. 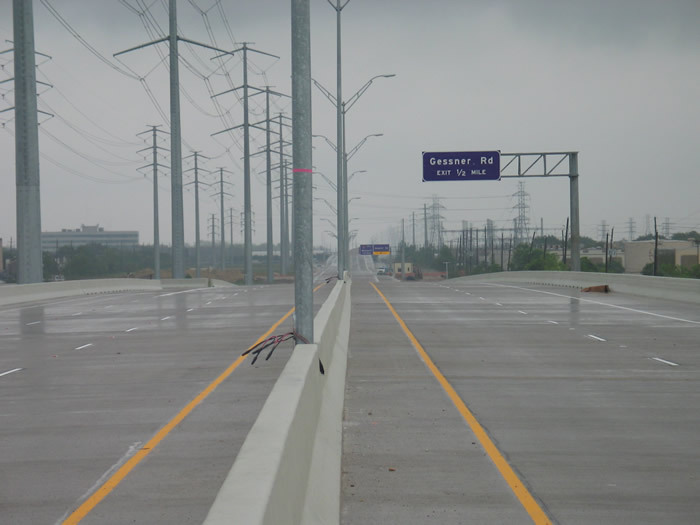 That is way along most of the this freeway the frontage roads carry the state's "Beltway 8" designation. Because the state owns the frontage roads. 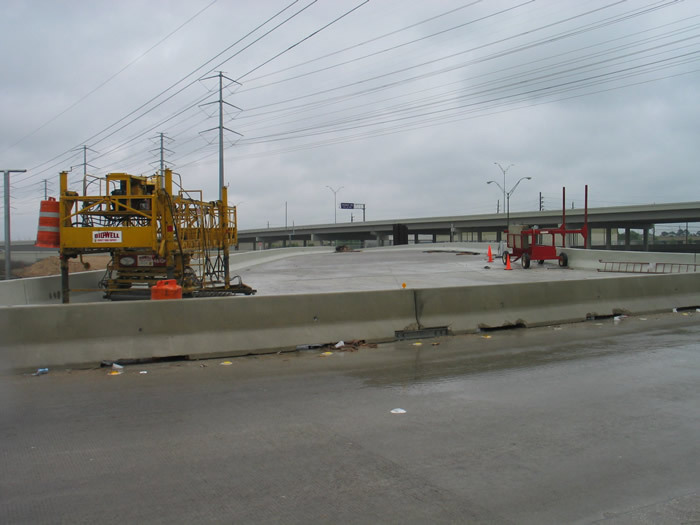 The mainlanes are owned and operated by the Harris County Tollroad Authority. 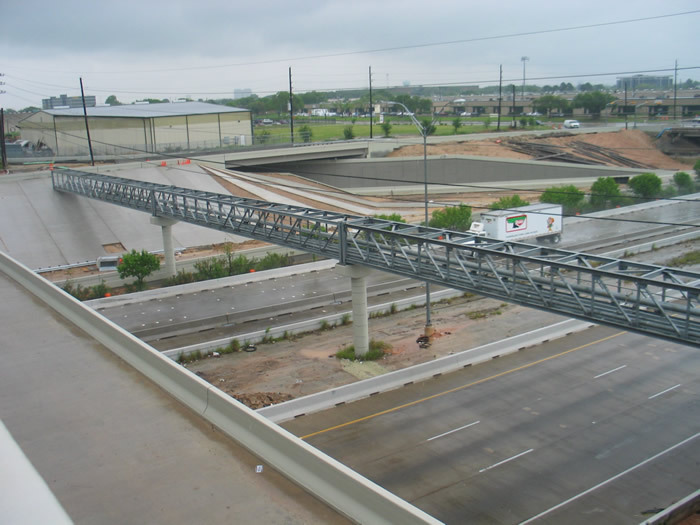 It has given the mainlanes the designation of the "Sam Houston Tollway". 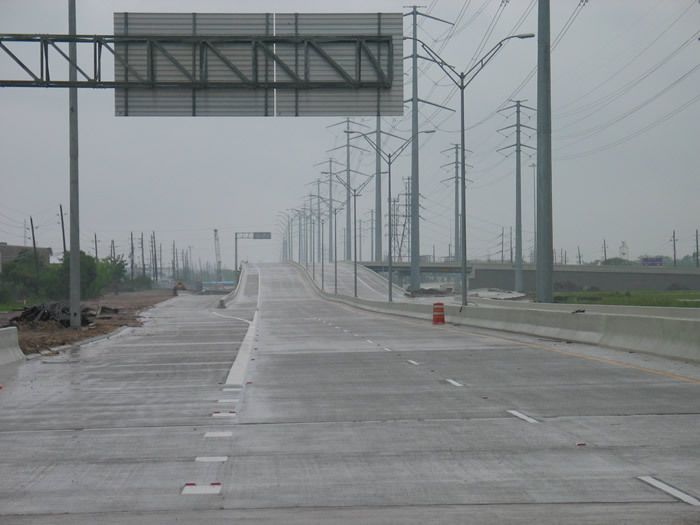 A section on the northeast side of Houston carries the designation of the "Sam Houston Parkway" because a toll is not required to drive on it. For the sake of limiting confusion I will refer the entire freeway as "Beltway 8"
A. (High resolution 726k) Looking east down the Beltway 8 exit ramp. In the distance is the underpass under Rogerdale Road. 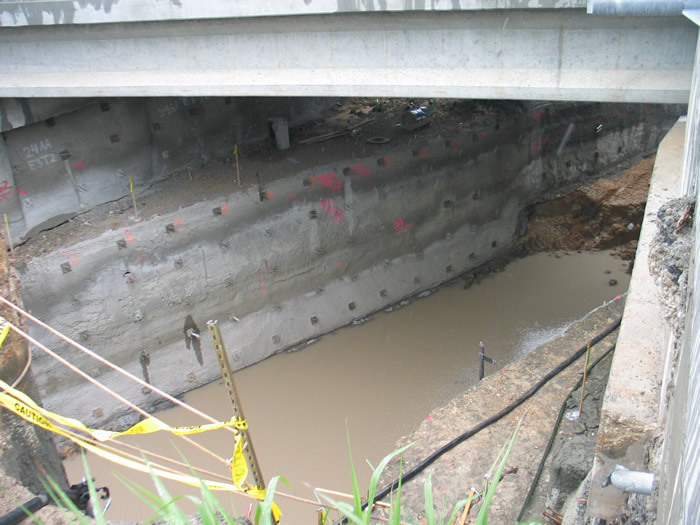 The construction in this are was delayed several months so that a 48" water line could be relocated. 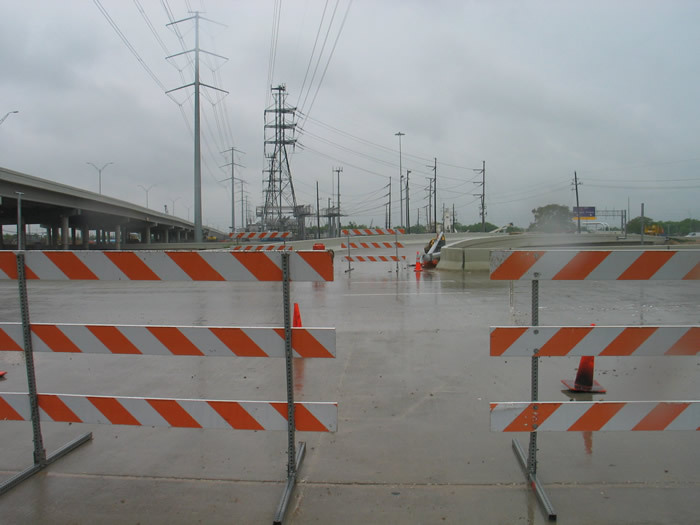 The City of Houston indicated this was an in-service water line and could not be relocated in until an off-peak period. When the line was cut into it was found to be dry. Oops. Sections of the new piping can be seen the far right. A better photo is below. The eastbound tollway mainlanes are to the left. B. (High resolution 918k) Here is a better look at the piping for the new 48" water line. 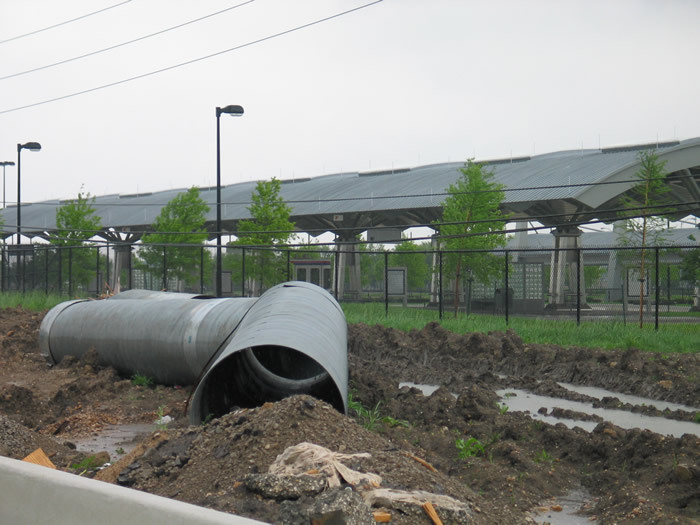 In the background is the new Metro Park & Ride (not part of the tollway project). C. (High resolution 832k) A closer ground level look at the underpass under Rogerdale Road. D. (High resolution 943k) Another look at the underpass for Rogerdale Road. 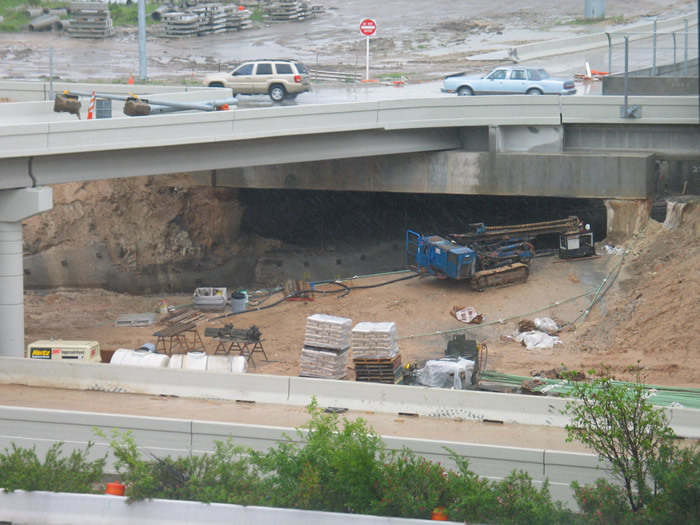 This photo is looking down from the eastbound tollway mainlanes. The blue piping is the new 48" water line. E. (High resolution 1040k) Here is a look at the other side of underpass for Rogerdale Road. 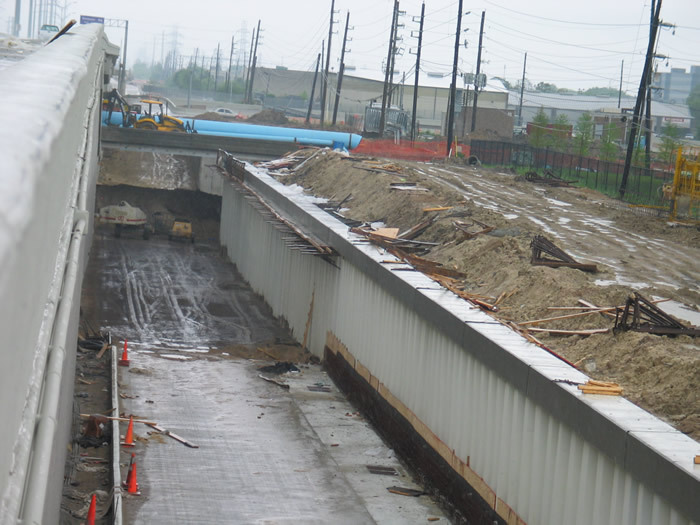 This photo is looking down from the eastbound tollway mainlanes. The split below takes the driver the Beltway 8 frontage roads (see photo "G" below for a continuation). The fork on the left takes the driver to the southbound Beltway 8 mainlanes. F. (High resolution 980k) Another look at the exit to the southbound Beltway 8 frontage road. G. (High resolution 968k) This is a continuation of the split to the northbound Beltway 8 frontage roads. In the foreground is the southbound frontage road. In the distance is the northbound frontage road. 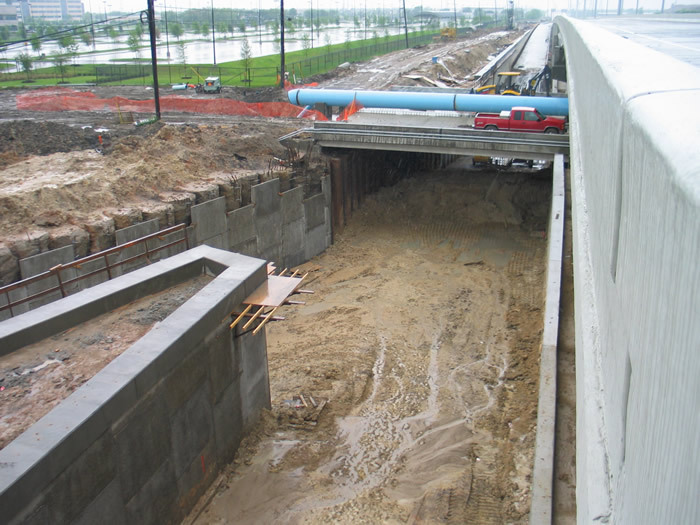 The trench contains the Sam Houston Tollway mainlanes. H. (High resolution 990k) Here we are looking south down the Beltway 8 trench. 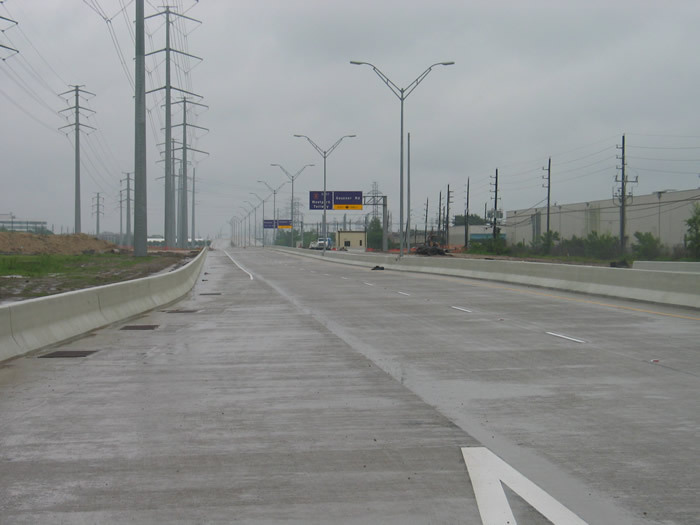 The mainlanes are the left; the new southbound frontage road is to the right. Down the center of the photo is the previous alignment of the southbound frontage road. Most of the old frontage lanes will be torn out for expansion of the mainlanes (seperate HCTRA project). I. (High resolution 832k) In the distance is the ramp from the northbound Beltway 8 mainlanes to the eastbound Westpark Tollway. 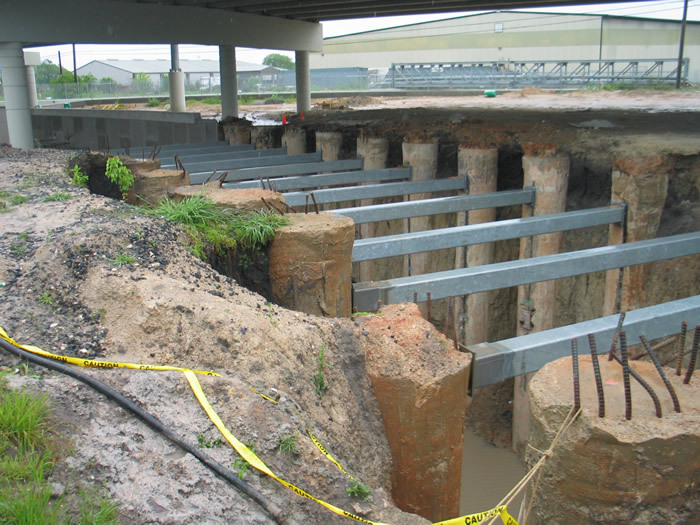 Directly below is the connector the Beltway 8 northbound frontage road. J. 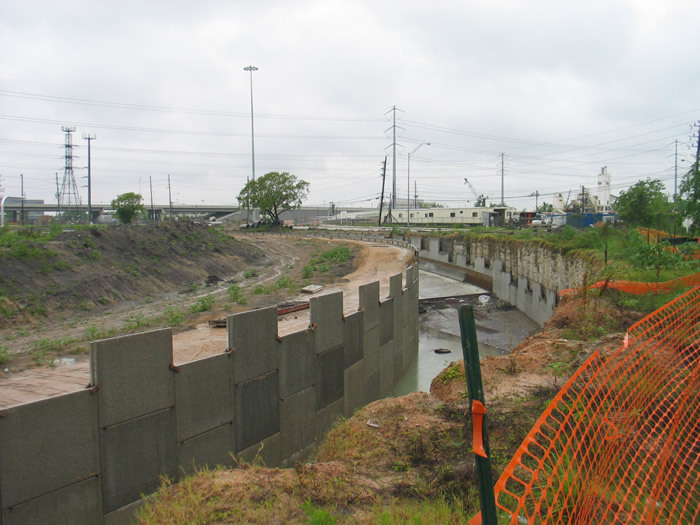 (High resolution 1040k) The trench in the background is the connector from the northbound Beltway 8 mainlanes to the westbound Westpark Tollway mainlanes. 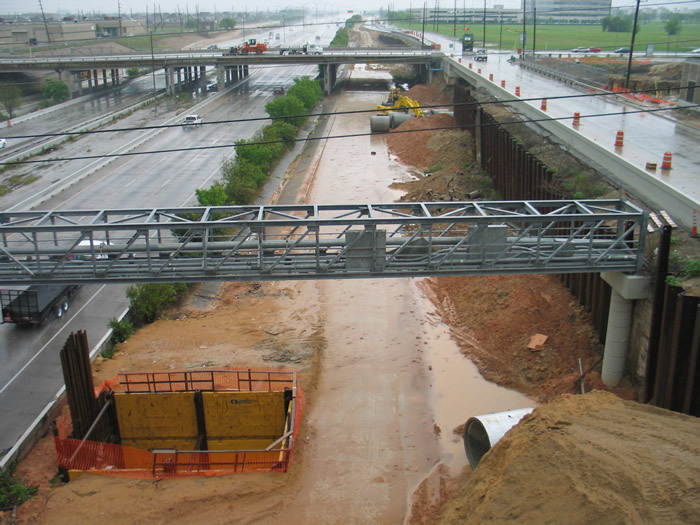 The bridge in the foreground is the connector from the westbound Westpark Tollway exit to the southbound Beltway 8 frontage road. K. (High resolution 715k) The connector in photo "J" above emerges from a trench to an elevated ramp. 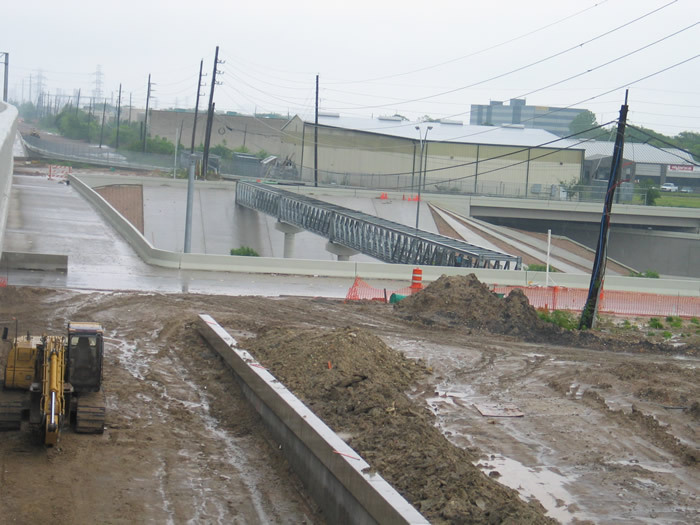 The roadway coming from the distance on the right is the exit from the westbound Westpark Tollway to the Beltway 8 frontage roads. The northbound frontage can be seen in this photo. 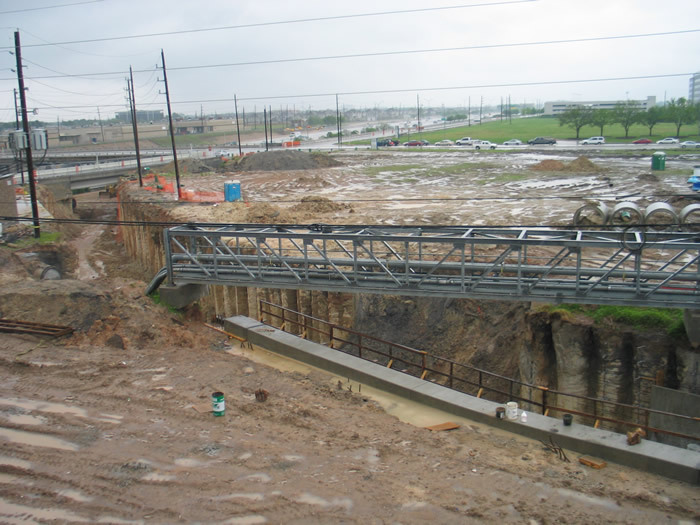 The bridge going down and to the left of the photo is to the southbound frontage. A better view can be seen in photo "J" above. 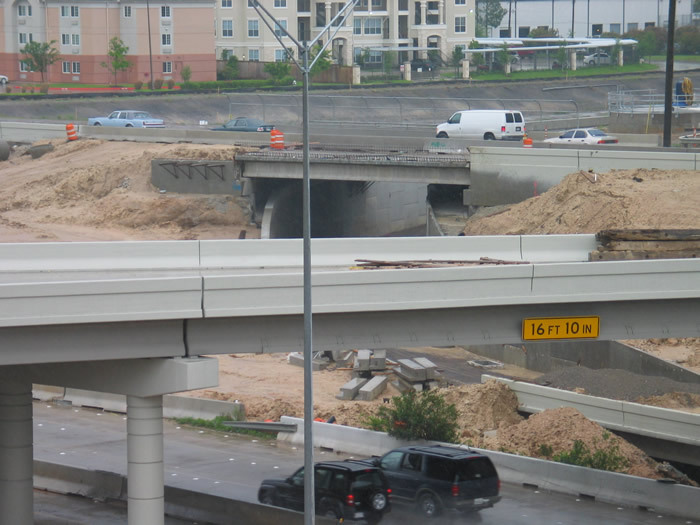 Under this intersection is the connector from the southbound Beltway 8 mainlanes to the westbound Westpark Tollway. It will be interesting watching them connect the dots here. Better photos are below. L. (High resolution 907k) Another look at the connector. M. (High resolution 963k) Here is yet another look at the connector trench from the above photo. 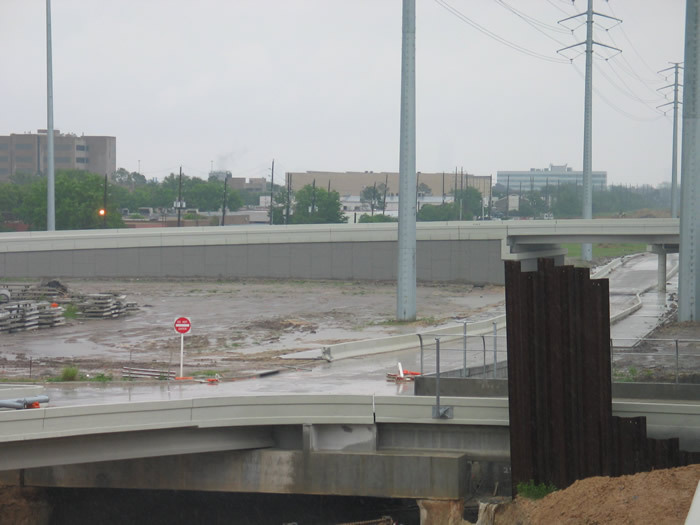 This time we are looking from the westbound Westpark Tollway exit road. 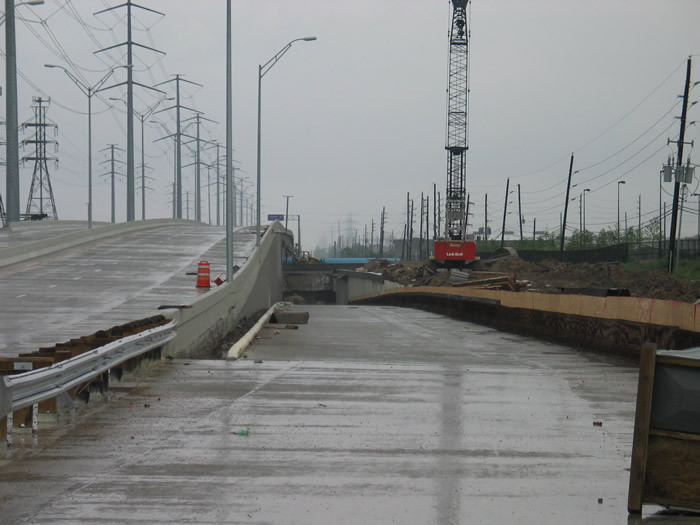 The beam at the top of the photo is for the northbound Beltway 8 frontage road. N. (High resolution 1.15Mk) Standing in the same spot as photo "M" above, but turned slightly (the string in the two photos is the same). O. (High resolution 789k) A look down the westbound Westpark Tollway exit to the Beltway 8 frontage roads. P. (High resolution 718k) Looking east from the same location as photo "O". Q. (High resolution 714k) Standing at the intersection of the exit road and the northbound Beltway 8 frontage road. The bridge on the other side of this roadway is the same bridge in photo "J" above. 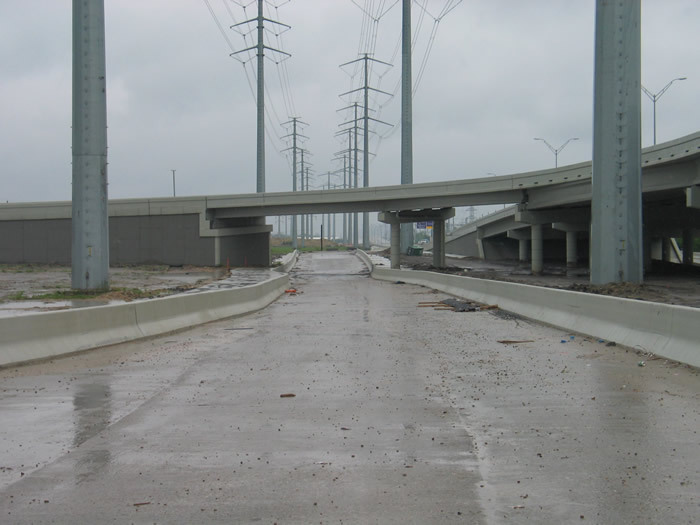 The overpass on the left is the Westpark Tollway mainlanes. 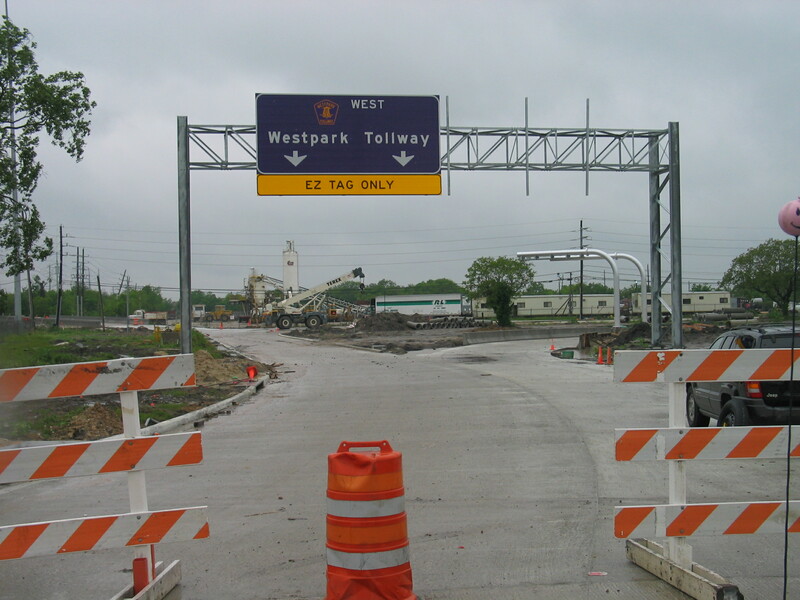 The sign in the distance on the right is the westbound entrance to the Westpark Tollway. Both of these intersection now have traffic lights installed at them. R. (High resolution 779k) Looking back east from the same location as photo "Q". S. (High resolution 993k) Connecting ramp/trench from westbound Westpark Tollway to southbound Beltway 8 mainlanes. T. (High resolution 970k) Same trench as above, but turned to the left. U. (High resolution 885k) Here is a close look at the westbound entrance to the tollway at Beltway 8. V. (High resolution 756k) A look from the same location across the southbound Beltway 8 frontage road to the westbound exit from the tollway. W. (High resolution 670k) Back on the Westpark Tollway mainlanes looking east. X. 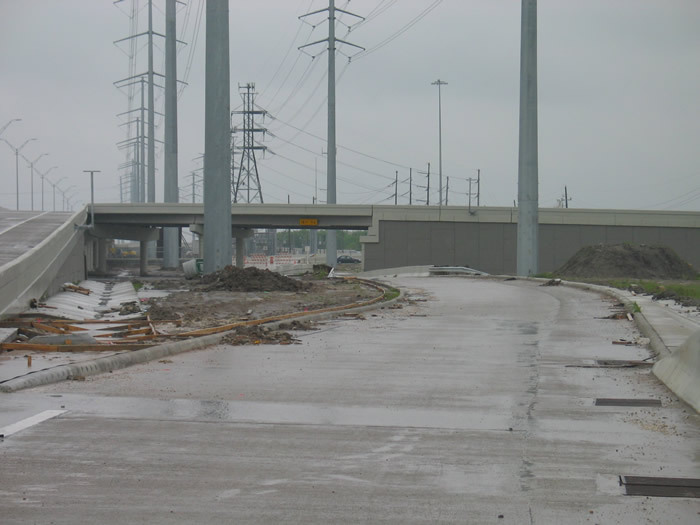 (High resolution 773k) Looking west at the entrance ramp from Beltway 8.